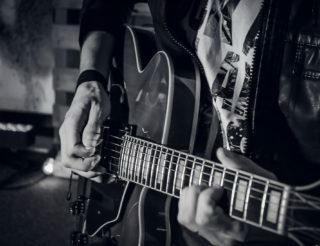 In this lesson, I shall be showing you simple ways to making chord progressions more interesting and diverse using simple tricks. We musicians are often confronted with writer’s block: we wish to compose something meaningful, something that makes sense. Sometimes we are left with one single, simple idea that doesn’t seem to lead anywhere. 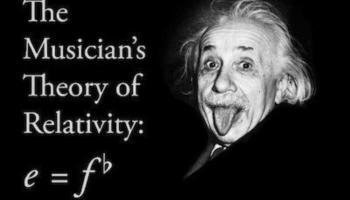 I firmly believe that music theory can help us out to get back on track and be creative. If you’re a beginner, some of the chord names might seem daunting to you. I recommend installing Uberchord (click for download) Chord Trainer on your iOS device so as to have a quick, practical reference guide at the tip of your fingers. You will see how one simple idea can be used to create material that is fresh and interesting. Chords are best viewed as numeric structures. You can easily remember more complex, dissonant chords by viewing them as collection of numbers. A dominant ninth chord with a raised eleventh is basically 1-3-5 b7 #11. What seems like basic, simple knowledge (intervallic formulae) can greatly demystify almost any kind of chord. 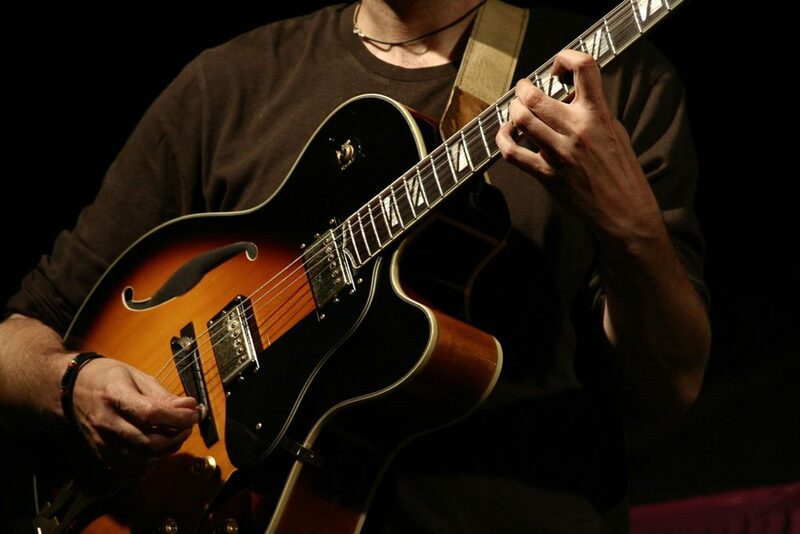 If you strum C major, you may end up using it to start a song in C major, or as the submediant in the key of E minor, or the dominant chord in the key of F major. Generally, the more tension notes are contained within the chord, the more clear its function shall be. Being merely a triad, C major has only three notes in it, and as such it may lead anywhere, but a A7b9 will make your ears wait for that resolution towards a Dmaj7 or a Dmin. In that sense, this chord is more likely to show you a path to follow. This exact principle is the foundation for the ideas offered to you in this article. One of the best things you can do for yourself as a songwriter is to get acquainted with chord progressions that are popular within certain genres of music. Just like numbers can help you learn and memorize chord formulas, you will be using numbers again to learn and differentiate between chord progressions. This time, however, Roman numerals will be used. You probably know by now that I-IV-V is quite common in blues, while ii-V-I is very popular amongst Jazz musicians. i-VII-VI-V is a common staple of flamenco (specially Rumba) and some Latin music. The i-V-i turnaround is quite common in Cuban salsa and other genres of Latin music, as well as folk. A variation thereof is simpy i-iv-V-i. A common trope of classical music until the 19th century was the progression characterized by i-iv-VII-III-VI-ii-V. Pop music producers swear by the I-V-vi-IV progression. So the first step to get out of your rut is to identify what kind of progression you’ve got. You probably have a cool sequence of chords going on already. Write the chords down, and then figure out what scale degrees they can be assigned to using Roman numerals. Now we can start “decorating” or “enriching” said progression. 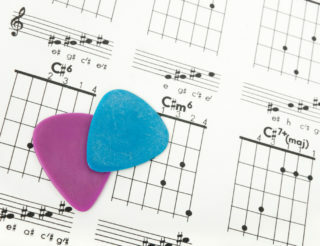 We may do this either by substituting certain chords, or by adding color to the chords you already have. This turnaround (sometimes called “harmonic circle”) is basically a I-vi-ii-V in the key of G major. It’s the basis for such hits such as Paul Anka’s “Diana” and Pearl Jam’s “Last kiss”. Nothing special, for now. Another thing you can do is simply replace some of the chords. This will obviously turn our I-vi-ii-V into something else, but we’ll still have four chords that will still fit to any melody you wrote for the original chord progression. Also notice how all chords happen share common notes. This gives the progression cohesion and lets it flow nicely. If you’re a beginner, some of the chord names might seem daunting to you. 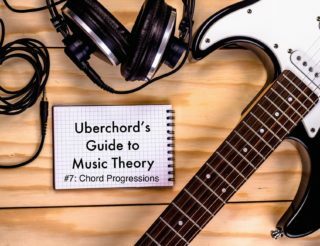 I recommend installing Uberchord on your mobile device so as to have a quick, practical reference guide at the tip of your fingers. I hope this lesson offered some new insight to you. I’m looking forward to share more of my ideas with you. See you next time. your error is not inspiring…. Thanks for your comment. It’s rather the iv in E minor, the minor relative key to G major. It’s now corrected.